US CTO Todd Park tells USA Today that the Healthcare.gov insurance marketplace wouldn’t be failing if the site hadn’t drawn five times the expected number of simultaneous users. “Take away the volume and it works,” he said. Former National Coordinator and Republican appointee David Brailer wasn’t impressed with the Democratic appointee’s explanation: “Whoever thought it would draw 60,000 people wasn’t reading the administration’s press releases. The Medicare Part D site was supposed to have 20,000 simultaneous users and was (built for) 150,000, and that was back when computing was done on an abacus. It isn’t that hard.” A Wall Street Journal investigation finds that an Experian identity module is crashing frequently, the site contains orphan programming code that appears to do nothing, and caching was not employed for efficiency. 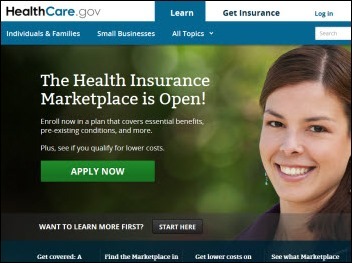 It estimates that up to 99 percent of those people who try to register can’t complete the process. The previously chatty government contractors involved are now declining to return calls. From Beer Reviewer: “Re: Monday morning news. The posts have been short. Is the news in short supply?” It is, actually. I go through the same steps every weekend to put together the Monday Morning Update, just like I’ve been doing since 2003. Lately news has been nearly non-existent. I could do like everybody else and pad it out with worthless, self-serving press releases masquerading as useful information, but I assume you would rather me not waste your time. Nobody has pointed out anything important that I’ve missed, a test I apply every single day to what I write. From More Please: “Re: anonymous CIO interview. Fascinating! I would like to see more.” So would I. All I need are CIOs who are willing to be interviewed anonymously. If that’s you, let me know. Everybody knows that most everything Yahoo is hopelessly antiquated crap, but I’ve stuck loyally with the paid version of Yahoo Mail for nearly 10 years because I like it better than the alternatives. No more. Yahoo is having a spam-related spat with Spamcop blacklisting that was causing my emails to fail and despite all the hoopla about improving the user experience, Yahoo has apparently removed every possible way of contacting support (even via an online form – thanks, Marissa Mayer). The best way to get me now is mr_histalk@histalk.com. 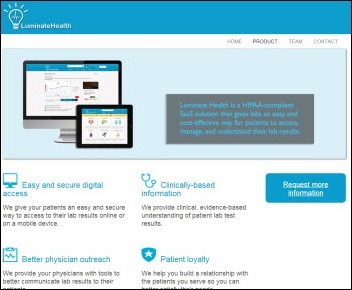 Luminate Health, which offers a patient-friendly lab results portal, raises $1 million. Nuance gives in to activist investor Carl Icahn by adding two of his nominees to its board in return for his support of the company’s slate. Sacramento Family Medical Clinic (CA) is implementing Forward Health Group’s PopulationManager as it joins forces with The Guideline Advantage to improve quality outcomes and patient care. Partners HealthCare (MA) selects InterSystems HealthShare to replace several integration engines as it consolidates to a single EHR. 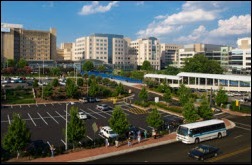 The Valley Hospital (NJ) will implement Merge Healthcare’s CTMS for Investigators solution to organize and centralize its clinical research operations. Aegis Sciences will implement Passport Health’s OrderSmart and PaymentSafe to automate transactions between its CBO and U.S. locations. Washington Health System (PA) selects eClinicalWorks EHR for its 87 physicians and 21 residents in its family practice residency program. In Brazil, Hospital Israelita Albert Einstein chooses Cerner Millennium. St. Francis Medical Center (CA) names Judi Binderman, MD, MBA, MHSA (Encore Health Resources) as CMIO. Former ONC Principal Deputy Director David Muntz will join GetWellNetwork as CIO. We ran this as a reader rumor last week. Encore Health Resources promotes Steve Eckert to partner of client services. Alameda Health System (CA) names Dave Gravender (Kaweah Healthcare District) as CIO. Clinovations hires Brian Morton (Halley Consulting) as VP of physician networks, Kim Tombragel (maxIT-Vitalize) as SVP of business development, and Robin Walters (Halley Consulting) as business development manager. Nuance announces its Clinic 360 suite, an outsourced transcription service and application for physician practices and ambulatory clinics that manages dictation, review, editing, and sign-off for specialties such as oncology. ADP AdvancedMD introduces its business intelligence solution AdvancedInsight during MGMA. The company also ADP releases its iPhone app. Harris Healthcare achieves critical milestones while deploying its Service Oriented Architecture Suite across the US Department of Veterans Affairs and the DoD. Vitera is previewing Intergy V9.00 at MGMA this week. 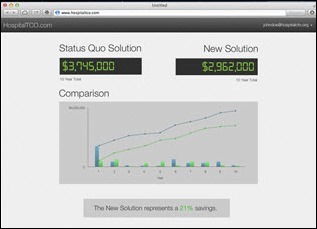 Capario introduces CaparioOne, its redesigned web portal application for revenue cycle management. Next Wave Health launches Next Wave Connect, a problem-solving social network for healthcare organizations. Drex DeFord will serve as CEO and Mike Davis as EVP of research and analytics. 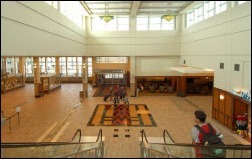 VHA Mid-Atlantic will offer its hospitals mobile patient satisfaction and experience tools from Marbella Technologies. 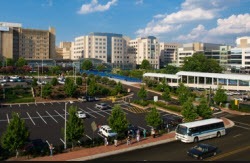 Peer60 offers HospitalTCO.com, which allows hospitals to determine total cost of ownership for IT systems over 10 years. It’s free. Athenahealth announces its readiness for Meaningful Use Stage 2. Mediware says it will expand the CPR+ platform it acquired in July 2013 to create a management tool covering home medical equipment, home infusion, specialty pharmacy, and home health. Officials of Dane County (WI) Regional Airport are planning a $30 million parking deck expansion to handle the increasing number of Epic Systems travelers. 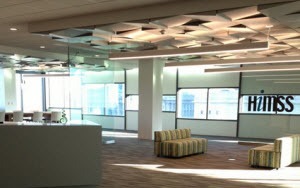 HIMSS releases a photo of its Innovation Center inside the just-opened Global Center for Health Innovation in Cleveland. The local newspaper covers the $125 million Epic project of WellStar (GA). UNC Health Care (NC) says it expects to post an operating loss for the fiscal year due to reduced volumes caused by its Epic go-live. T-System launches two solutions to assist EDs overcome negative aspects of EHRs, including a paper-based note-taking tool (Doc Notes) and an ED physician documentation application (EV for physicians). InstaMed says use of its Member Payments solution, launched earlier this year, will exceed $100 million in patient payments. CareTech Solutions signs its first long-term care facility to its Clinical Service Desk support service. The HCI Group is honored as the fastest growing private company in Florida by the Florida Business Journal. Billian’s HealthDATA will host an October 16 webinar offering three perspectives on patient and provider engagement. Predixion Software CEO Simon Arkell briefs the Boulder Business Intelligence Brain Trust on V3.1 of Predixion Enterprise Insight and its Machine Learning Semantic Model. Genesis Health System (IA) discusses the performance efficiencies they’ve experienced since the integration of Vocera’s wireless communication system with their Cerner EHR. Intermountain Healthcare and Craneware will present “Structuring Multidisciplinary Teams for Revenue Cycle Improvement” during the 2013 HFMA MAP Event October 28 in Ft. Lauderdale, FL. Elsevier and Jefferson Medical College (PA) are co-sponsoring the “Art + Medicine: How Art Can Make Better Doctors” conference November 2-3 in Philadelphia. Health Care Software participates in the AHCA/NCAL 64th Annual Conference and Expo in Phoenix this week. Intelligent InSites will present “The Why’s and How’s of Reforming Healthcare Operations” on October 9. NextGen Inpatient Clinicals V2.6 receives 2014 ONC HIT certification as a complete EHR. Aspen Advisors Jody Cervenak is moderating a panel on the optimization of physician documentation during the CHIME13 Fall CIO Forum in Scottsdale this week. ZirMed signs over 900 clients processing over 2.2 billion transactions while launching three additional products in the first nine months of 2013. Greenway supports the national eHealth Exchange by joining Healtheway. Dan Charney, managing partner of Direct Recruiters, Inc. / Direct Consulting Associates, is named a “Forty under 40” honoree by Crain’s Cleveland Business. 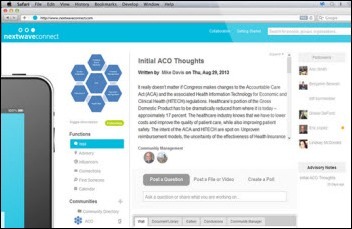 Orchestrate Healthcare is hosting an October 17 business intelligence Webinar. Interesting how 8 days into the Great HIX Experiment the level of commentary and articles seems to be fairly low, could only find 8 related articles from today on google news. Bigger fish to fry with the shutdown and looming default (whatever that really is). Whats fascinating is the level of technical commentary accompanying most of the articles. Just ran a test on healthcare.gov and mid-morning EDT it was slow but working. Interested in knowing what is happening on various state sites – I know the WA and NY sites are now apparently running at full steam but others? Given all of the predictable angst, wonder if anyone would care to compare this rollout to a large scale Epic or Cerner implementation starting week 2…. To Todd Park: Have you ever heard of first impressions? 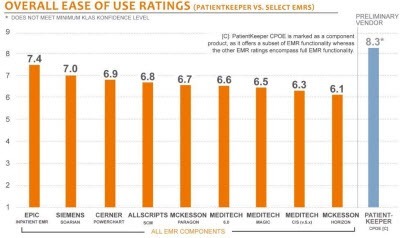 Does anyone know if PatientKeeper is MU certified? Couldn’t find them by name on the CHPL website, but that’s not the worlds most reliable or usable site. They have some statement about maybe getting 2014 certified, but it isn’t clear on their web site.